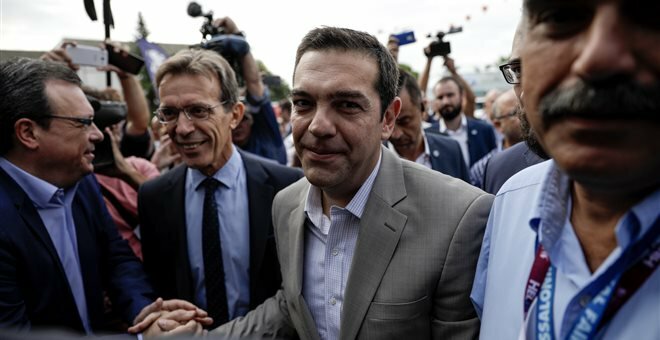 Amid tight security, Prime Minister Alexis Tsipras will kick off the new political season on Saturday by inaugurating the 82nd Thessaloniki International Fair (TIF). In a keynote speech at the “I. Vellidis” conference center at 20:00, before representatives of local chambers, unions and administration officials, he is expected to deliver a message of hope for “better days” and return to normality, without bailouts. The prime minister’s associates say that “it will be the last TIF of the bailout era”. Fresh from the meetings with French President Emmanuel Macron in Athens, Tsipras is expected to emphasize his newly found desire to improve the business environment in Greece and attract foreign investment. According to reports, he will announce institutional reforms, including the constitutional review, and will vow to help the younger generation through initiatives to reform the system of university entry exams, stem the ‘brain drain’ and create new jobs. Earlier on Saturday, the prime minister toured the fair accompanied by ministers and attended the opening of China’s kiosk, which is this year’s honoured country. On Sunday, Tsipras will hold a press conference at 13:00. Almost 4,000 police officers are said to have been deployed to ensure security in Thessaloniki. A series of protests against austerity have been planned over the weekend.